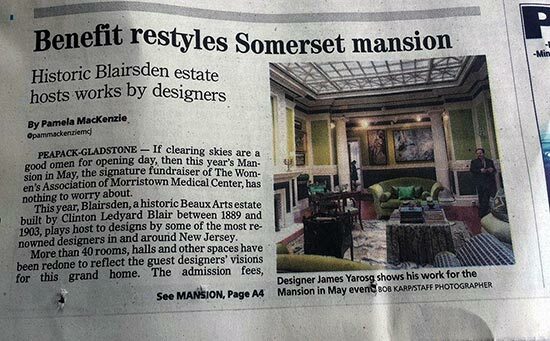 In 2014, I participated in a designer show house, Blairsden Mansion, as part of Mansions in May. 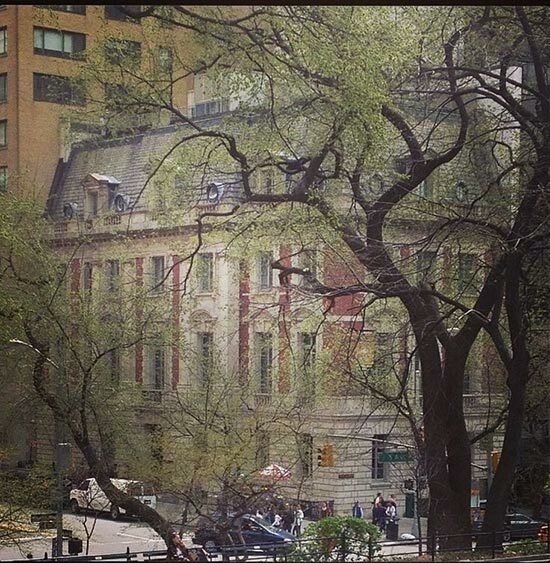 Architects Carrere and Hastings designed the estate, as well as the New York Public Library, the original New York Stock Exchange, and the buildings that currently house The Frick Collection and Neue Galerie, two well-known Manhattan museums. As part of my own design process for the Blairsden show house, I visited the two museum spaces to help inform my work. 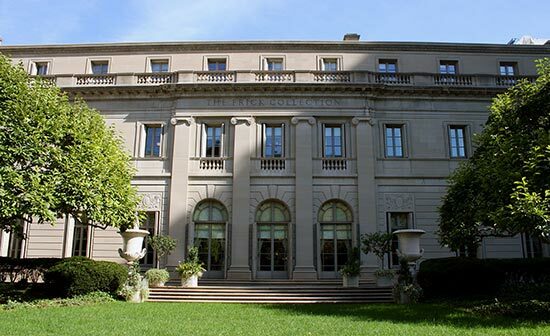 The Frick Collection museumDuring my visit with The Frick Collection's curator John Godla, we discussed lighting design to properly merge Blairsden's history with today's electrical innovations and the specific needs of illuminating fine art. 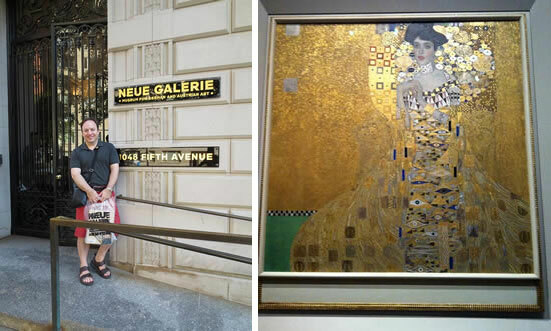 The Neue Galerie museum houses the Estée Lauder family's fine art collection, featuring the museum's crown jewel, the Gustav Klimt painting of Adele Bloch-Bauer. The painting holds the record for the most expensive painting ever sold ($135 million) and is also the subject of the 2015 movie Woman in Gold. I have been a fan of Gustav Klimt's work since my early 20s, appreciative of his color and patterning. 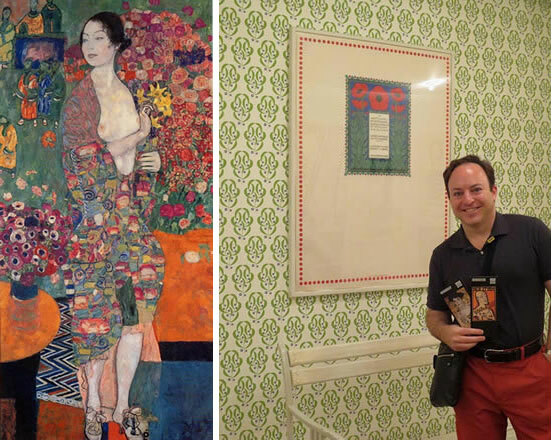 The wallpaper and design downstairs at Neue Galerie are very typical of Austrian motif. 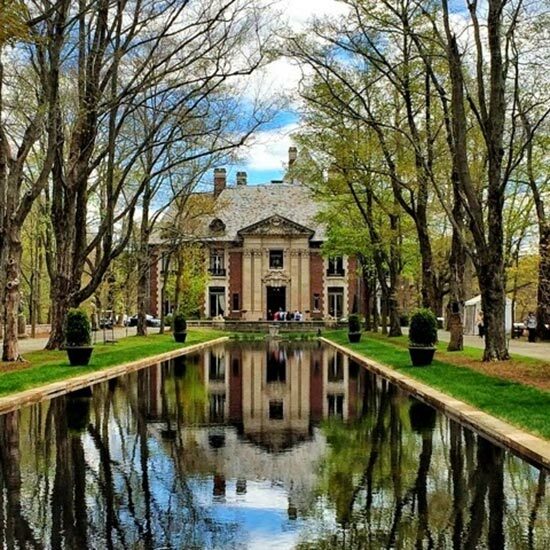 Peapack-Gladsone, NJ: Blairsden Mansion, designed and constructed between 1898 and 1903, is a 62,000-square-foot Louis XIV Chateau-style mansion that stands as one of the masterpieces of the renowned architecture firm of Carrere and Hastings. Visiting Blairsden for the first time in October, 2013, to discover the estate aesthetically, untouched by time. 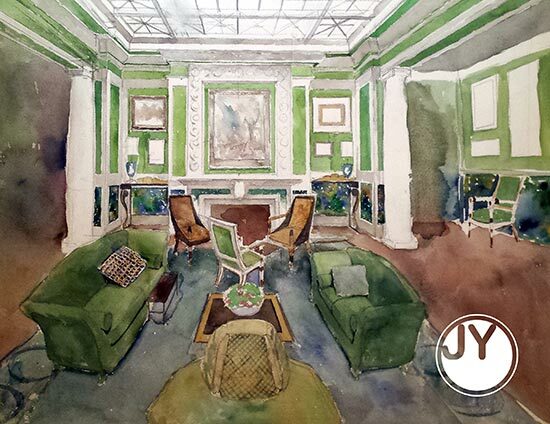 I enlisted artist Iliya Mirochnik to create a watercolor rendering of my ideas to help plan possibilities for the space. The atrium provided the perfect area for a gallery in the round to be all walls and no windows, other than the atrium's skylight. This skylight was the first of its kind in a private residence in the U.S. I was also glad to have artist Charlie Robinson along during this journey. With an understanding of estate design, I knew the atrium served to allow outdoor light to flow indoors- to bring the outside in. With this in mind, I took my color cues to marry my art collections to curate, the exquisite color palette of textiles created by Hill Brown's Donna Wood and Mary Beth Brown, and nature in all its boldness. A grand estate should house grand rooms. We honed our ideas to select materials, furniture, and functional placement. We chose colors to ombre shades down from the ceiling, striping the boldest color where the art would sit to draw the eyes' attention. This use of color did its job, initially drawing visitors' eyes to the art collection and then recessing into the background so the decorations and paintings could tell their story. 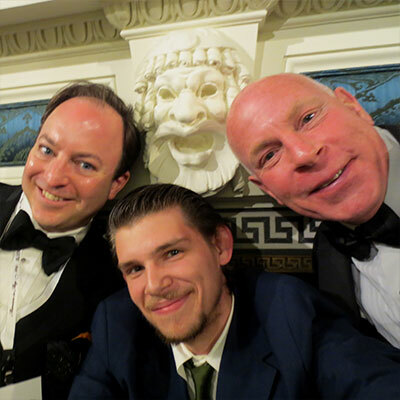 An opening night selfie by the iconic mantel piece with my partner, Barnet Cohn and artist Charlie Robinson. Guests included some of the most known and recognized talents in the design business. Left, with Mary Beth Brown and Donna Wood, the forces behind Hill Brown and Clarence House (and previously, Scalamandre); right, with the 'Prince of Chintz,' interior designer Mario Buatta. "I cannot be a great gallery without your greatest works to show for exhibits," is my mantra to my gallery artists and artist agents. Pictured here with Mayda Sharrow and artist Sheba Sharrow's painting, Don't look Now, which was featured as part of the smartphone tour of An Art Collector's Sanctuary exhibit. My most honored guests at Blairsden were my parents, James and Regina. 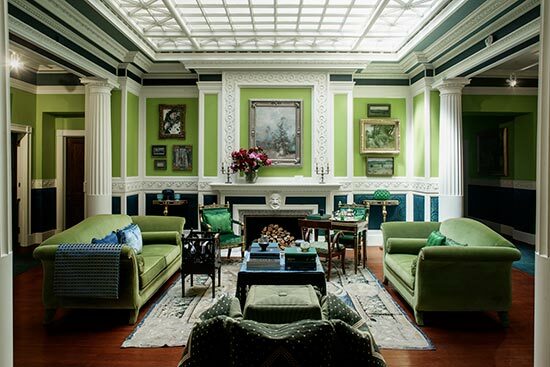 Immediately after being awarded the coveted atrium space, the largest upstairs quarters and most iconic room at Blairsden, I knew I had to design in a way that would join museum study, fine art collecting, and my love of interior design, a huge undertaking considering the scale of the 63,000-square-foot estate. My mother lovingly dashed my doubts to encourage me: "You know you can do this...you only doubt yourself when you are tired...and for then, I am here to remind you." I dedicate Blairsden and its success to her. 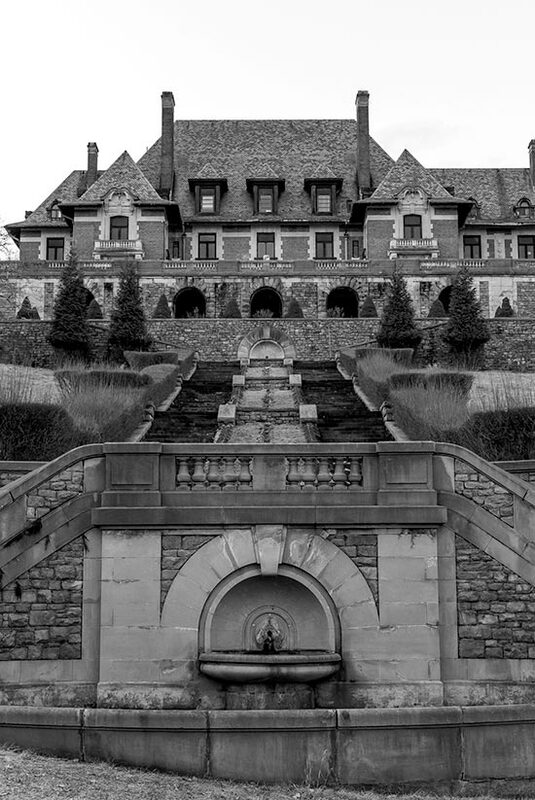 During the month-long Mansion in May, 2014, Blairsden had over 30,000 visitors and raised over two million dollars for charity. 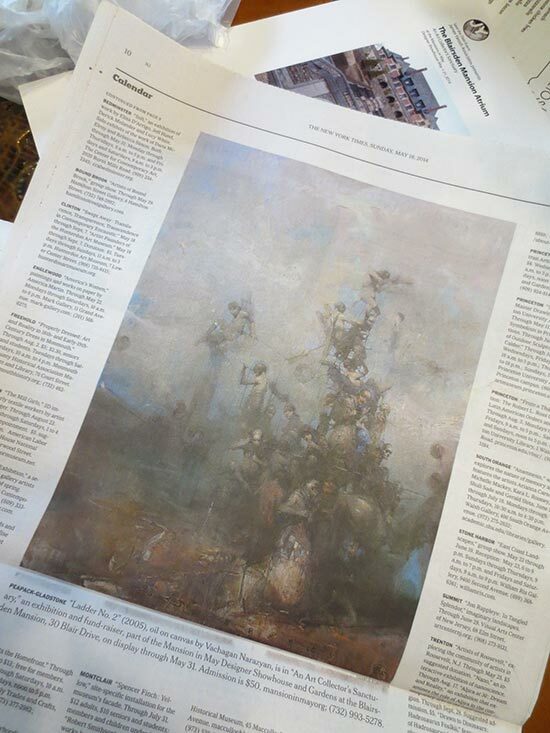 The gallery's space was featured on the front page of the Daily Record on opening day and also garnered a half-page photo in The New York Times.